This is the sixth time that the club is going to the so-called “The Diamond of the Alps” in Austria, upper Öztal Valley. Due to its high-altitude location snow is almost guaranteed. Just to be on the safe side, more than 99 % of all slopes in both ski areas are equipped with artificial snow-making systems. 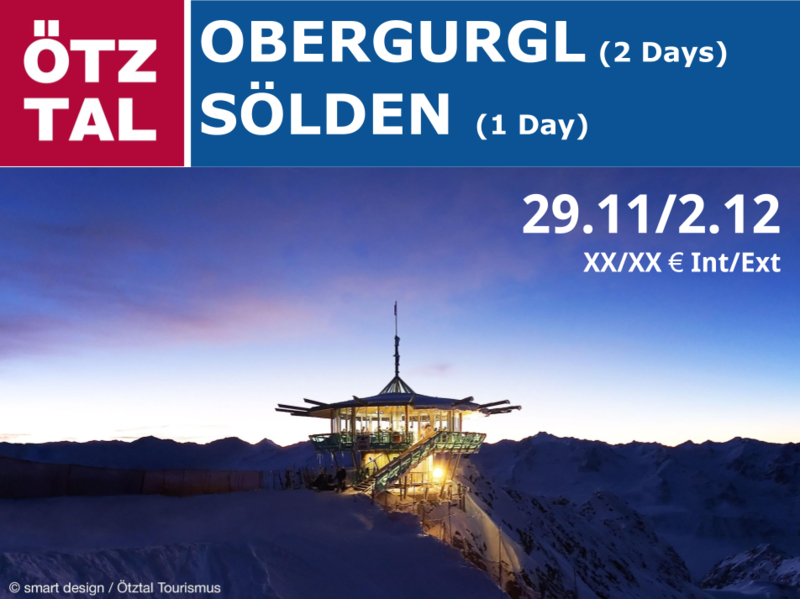 Therefore, either Sölden Obergurgl-Hochgurgl ranks among the top ski resorts where snow is always available in abundance. 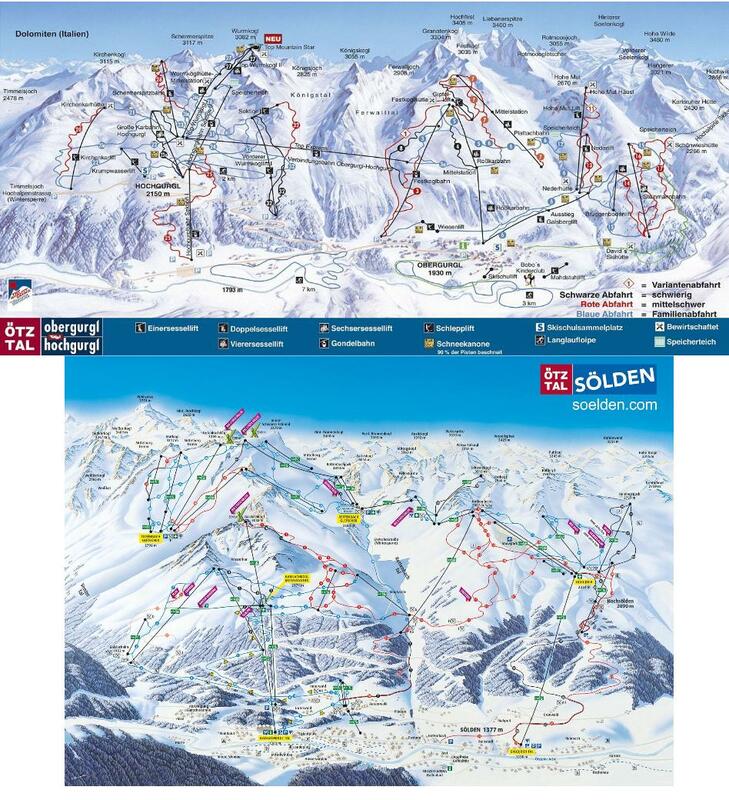 The plan is to ski 1 day in Sölden and 2 days en Obergurgl. Alpine Ski World Cup venue and one of Europe's most renowned Ski & Snowboard Resorts. The infinite number of slopes and ski trails for all levels and abilities coupled with the perfect grooming of not less than 145 km of slopes make Sölden a truly unique winter sports center. 33 state-of-the-art ski lifts and gondolas with a total capacity of 70,000 persons/hour guarantee ultimate skiing fun without queuing. Sölden stands for the full force of winter! Sölden's great winter ski area is directly connected to the glacier slopes by a number of ski lifts and gondolas called Golden Gate to the Glacier. Skiing enthusiasts can ski uninterrupetedly from the village of Sölden up to the glaciers at the elevation of 3,250 m - With a total length of 15.0 km the ski route from Schwarze Schneide at Rettenbach Glacier is the region's longest ski trail featuring nearly 2,000 m elevation change. The bus will leave EUMETSAT at 15:45 and from ESOC at 16:00 on Thurday the 29th of November. We will arrive in Hochgurgl late on Thurday night. On Sunday we ski all the day, leaving the slopes around 16:00 and arriving back in Darmstadt late on Sunday night. Trip price includes Bus transfer, 3-Day Ski Pass, 3 nights Bed, Breakfast and 2 Dinners.